It has been a kooky Spring here in New England - a potpourri of tropical temperatures mixed in with grey, raw days typical to the season. Nature has leapfrogged a good three weeks ahead to whatever the next season will be - Sprummer? Here is our ode to a typical Spring - dogwood blossoms and fringe. Our lamp needs no wired lighting and can be totally customized to your event. 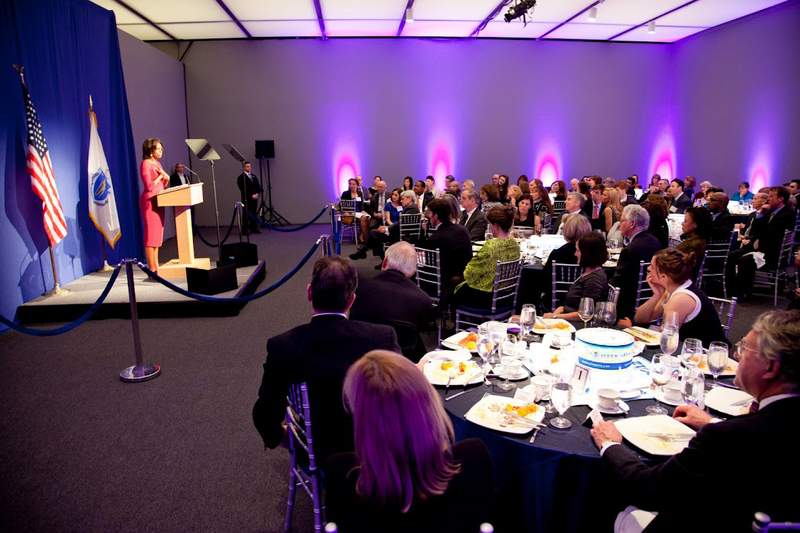 Perfect for an event featuring lounge furniture spaces. Custom cut base, custom lampshade with white fringe trim. Some days we just like to play in the studio with shape and color. Today's project evolved using a color palette we have downloaded twice from Kuler called "French". 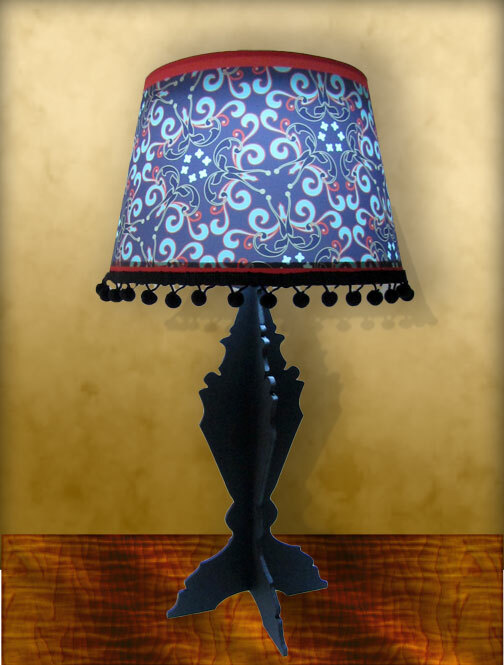 The base was inspired from last season's episodes of Downton Abbey in which almost every scene featured a magnificent lamp and shade. Pom pom trim finished it off perfectly. Photoshop provided the setting for our Illuminaria lamp since our studio bears no resemblance to Downton Abbey. Imagine your next event highlighted by our uniquely customized table lamps - give us your art - we will illuminate it! These adorable centerpieces not only featured a customized Monopoly board, but they also rotated! Mr. Monopoly held balloons that twirled above the guest's table - fun! 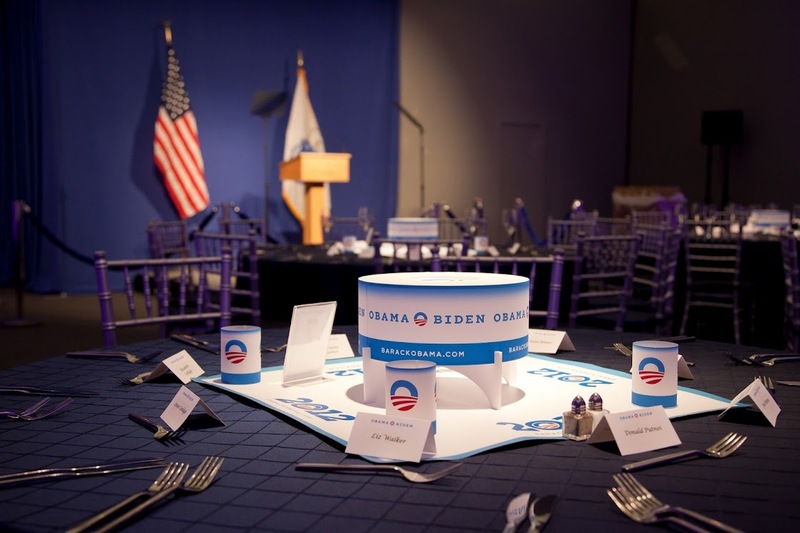 When First Lady Michelle Obama came to Boston recently, we were asked to create illuminated centerpieces - in a matter of days. The only graphics required were the new campaign logo for 2012 - not terribly decorative, but very relevant.